Courtesy NASA/Chris Larsen, University of Alaska-Fairbanks. Scientists get instant access to radar images of Antarctic ice thanks to Forward Observer supercomputer. 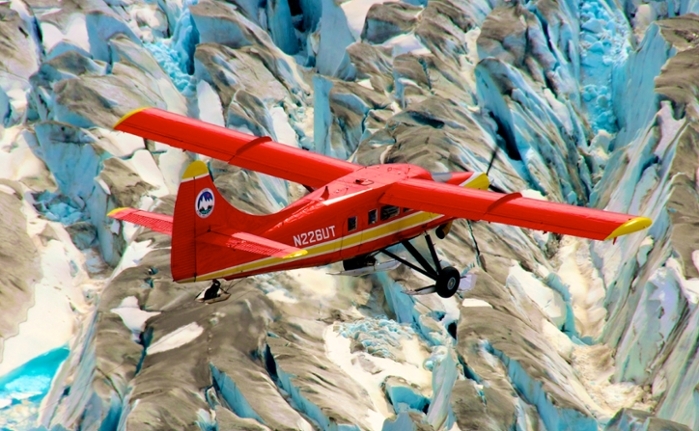 With the addition of a new base camp and a new aircraft, NASA’s longest-running airborne mission is better equipped to study sea ice and glaciers in the fast-changing region of West Antarctica. And with the support of technology created by Indiana University (IU), the mission is gathering and processing more information than ever. IceBridge, an airborne mission that monitors changes at the Earth’s poles, surveys snow and ice conditions with three types of radar. 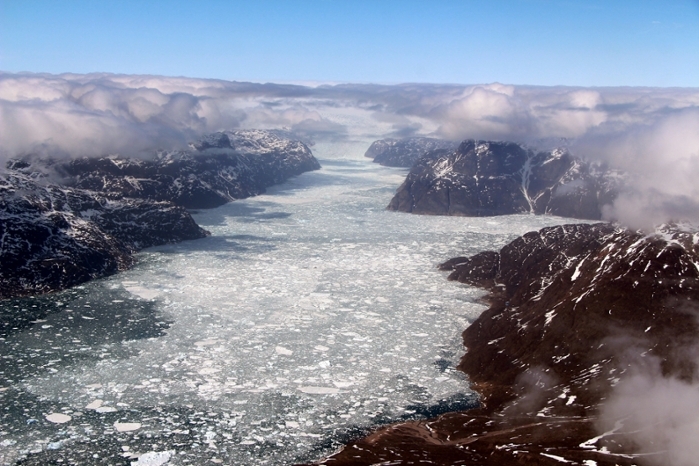 For the past nine years, IU and the Center for Remote Sensing of Ice Sheets (CReSIS) at the University of Kansas have worked with NASA’s Operation IceBridge to collect data about polar ice caps. IU provides IT support for the missions and assists in processing the enormous amounts of data the mission generates, helping improve the models of the physical interactions of glaciers, sea ice, and ice sheets for scientists to study. Data is gathered using three radar systems located in the plane’s belly and wings. Accumulation Radar measures how much snow has accumulated on the surface level; Snow Radar studies the thickness of snow on top of sea ice to help determine the thickness of the ice; and the Multichannel Coherent Radar Depth Sounder (MCoRDS) shoots all the way down to the bedrock to map the terrain below the ice. The Forward Observer supercomputer captures the data streams and makes multiple copies of the information, providing the scientists with nearly instant access to preliminary images during the flight. Each flight can result in the collection of up to 5 terabytes of data—the entire season can range from 100 to 350 terabytes. Forward Observer captures the data streams and makes multiple copies of the information, providing the scientists with nearly instant access to preliminary images during the flight. Previously, the mission gathered data and brought it back to the base to be duplicated and preserved—a process taking up to 18 hours. 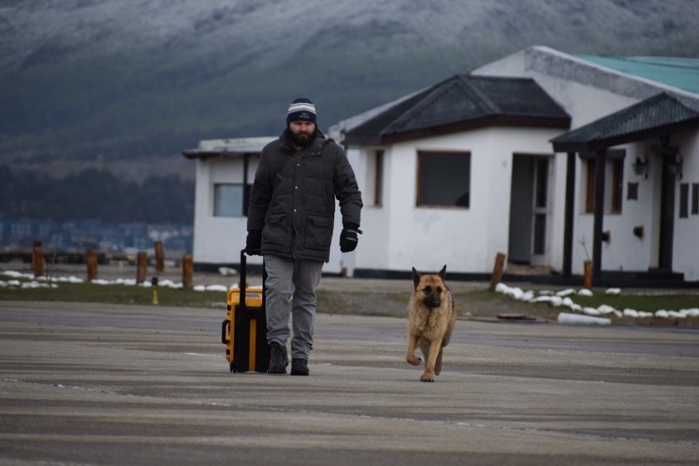 The use of the Forward Observer not only makes data gathering more efficient, it also eliminates the risk of losing the only existing copy of the collected information. Wells ensures the safe travel of all the hard drives and servers relating to the mission. “I put the data online for CReSIS so they can download it and begin the transfer from the hard drives to DC-WAN2 (Data Capacitor Wide Area Network 2—a high-speed data facility for accessing and sharing large amounts of data remotely),” Wells said. Once the data is processed and backed up, it is used to create images of literal slices of the snow, ice, and bedrock for scientists to study. In addition to decreasing the mission’s distance from Antarctica, the Argentinean location and the use of the P-3 Orion aircraft led to participation in the search for the ARA San Juan, a diesel-electric submarine in service with the Argentine Navy. P-3 planes are used by the U.S. Navy for submarine hunting, due to their ability to fly slowly at low altitudes. 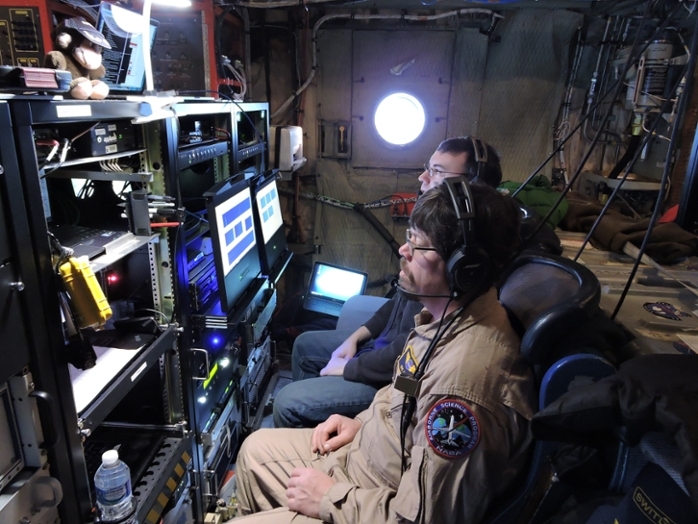 Because of its role in the IceBridge mission, the plane is also equipped with technology to detect fluctuations in the Earth’s gravity, as well as infrared cameras and radar systems that might assist in locating the submarine. Sadly, the search and rescue mission was unsuccessful, and the submarine remains missing. Read the original article on Indiana University's website here.